The Education Town Hall welcomes Dr. Pedro Noguera, one of our nation’s leading voices for healthy public education, to this week’s show, the first of 2013. Thursday, 1/3/13, 11:00 a.m. – noon, on We Act Radio, 1480 AM. Noguera, urban sociologist and Peter L. Agnew Professor of Education at New York University, focuses his studies on social and economic conditions influencing schools. He is author of City Schools and the American Dream: Fulfilling the Promise of Public Education (NY: Teachers College, 2003) and, with J.Y. Wing, Unfinished Business: Closing the Achievement in Our Schools (San Francisco: Josey Bass, 2006). His comments are often heard on CNN, National Public Radio, and other national news outlets. Thomas Byrd, host of The Education Town Hall, plans to continue a conversation on educational equity begun when Dr. Noguera was speaking at Ballou Senior High School in Washington, DC in 2012. 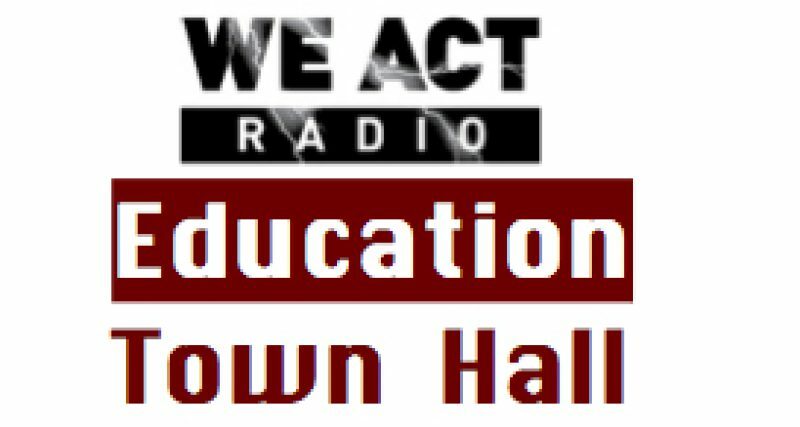 We Act and the Education Town Hall are delighted to host this discussion and encourage participation through the station’s call-in line and through this forum. Listen live at We Act Radio, Thursday, 1/3/13, 11:00 a.m. – noon, or tune in on 1480 AM. Check back, following air time, for an archive version, to reference and share.